SOAPware DocumentationSOAPware FAQ'sFAQ's Vital SignsQ: How do you add another Vital Sign to the Vital Signs chart section? A: A user is able to add another Vital Sign reading type from the Vital Signs chart section. Click on the Select Reading Type button to view the available options. Click to highlight the Vital Readings that you wish to appear in the patient chart. 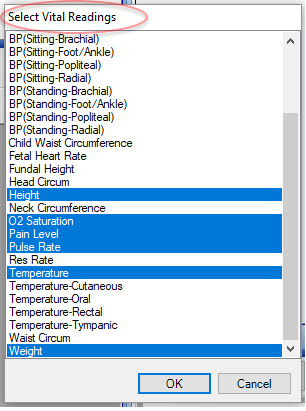 Click OK to add the selected items to the patients chart. 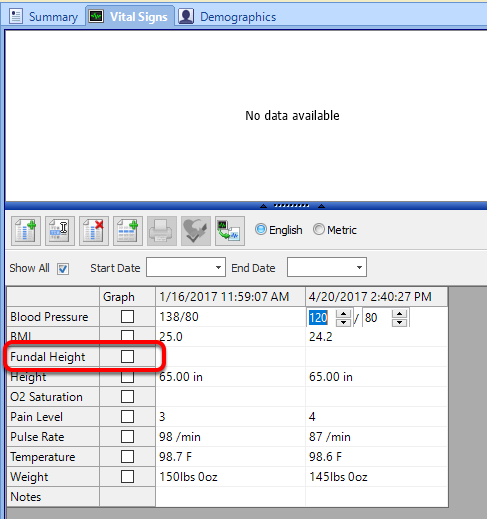 *Note: If you click on an items that is highlighted in blue, then click OK, it will remove this vital signs reading from the patient chart. The selected reading type will be added to the vital signs chart section for this particular patient. 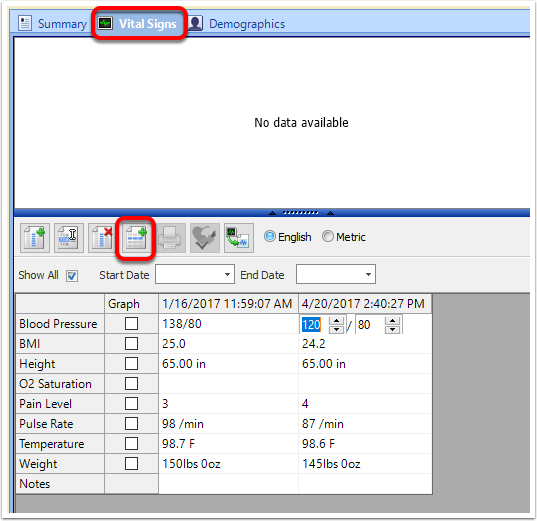 If you wish to add a vital signs reading type to the default Vital Signs template, you will need to do so within the Templates Manager. This will add the new reading type to all newly created charts. Previous Lesson: Q: I renewed my support agreement but still get a pop up asking me to renew.